You probably think you have to root (jailbreak) your Android device to get some of the best features you’ve been hearing about. That is not the case — and I understand how that may be hard to believe. Remotely lock your phone: The only thing worse than losing your phone is losing it and knowing that someone could have access to your data. But you know what’s great? Locking your phone remotely and stopping someone from accessing it, James Bond style. 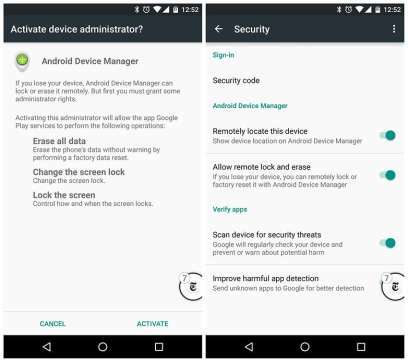 By using Android Device Manager, you can remotely take control of your phone or delete all the data on it, if you wish to go that far. See pictures in the cut. Use your phone’s LED flash to monitor your heart rate: No amount of rooting or hacking will give your phone a heart rate monitor if it doesn’t come with one. But the technology behind heart rate monitors make it easy to use your phone’s LED flash as one. One app that does a great job of this is Instant Heart Rate and its free on the Google Play Store. Simply download and install it and get to heart rate monitoring!